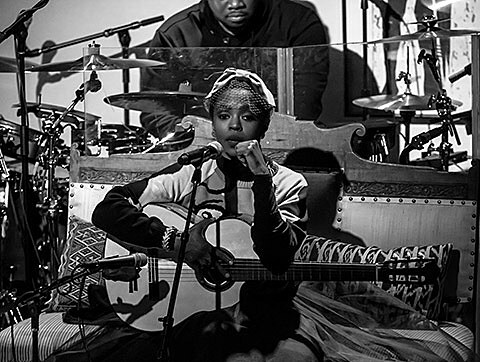 Nine NYC shows weren’t enough for neo-soul singer Lauryn Hill this year. (Not that we’re complaining.) She’ll play the city again, and this time for free, at the second annual ‘Louis Armstrong’s Wonderful World’ Festival taking place June 20 at Flushing Meadows-Corona Park. Also on the bill is New Orleans jazz veteran Shannon Powell (and his Traditional All-Star Band), Brooklyn afrobeat group Antibalas, and LA Latin rock/hip hop band Ozomatli. There will also be DJ sets at the Queens Museum, located walking distance from the concert. Again, the festival is free but space is limited and you do have to register for tickets. There are also not-free options with more perks like t-shirts, CDs, gift bags, and more. The concert is all ages and runs from noon to 8 PM.